Starbucks are leading the way with their gift card initiatives, attracting many new customers since their introduction. The Starbucks e Gift cards can be sent for Valentine’s Day, weddings, the Lunar New Years and more. They can be sent via email, text or with a physical card. These gift cards which have a certain amount of credit will encourage people who may not usually be customers to visit a Starbucks store to redeem. From there these customers often just find it convenient to simply top up the cards for easier and quicker future purchases. 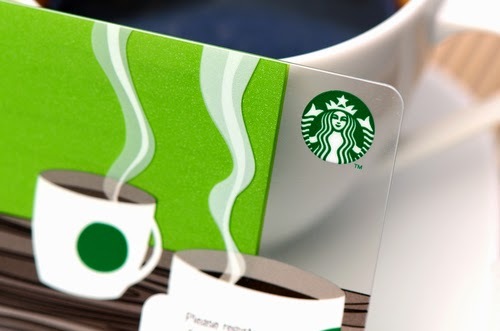 Many of these gift card users have then gone on to sign up for Starbucks ‘My Starbucks Reward’ program. The program allows members early access to new products, free drink or food rewards and easy payments with the online app. In Q1 alone there has been 0.9 million new MSR members, bring the total number of members to a staggering 9 million. These numbers show the huge success that the scheme has had due to the customer being able to have a quicker and more efficient experience. The other advantage of having so many people sign up for schemes such as MSR program keeps a loyal base of customers that know they will keep coming back as it is in the customer’s interest to buy from Starbucks as it helps their reward points. However in a study carried out in January of 2014, only 3% of retailers said that gift card strategies were its main priority in their retail plan. Only 17% of retailers said that gift card purchase or redemption were a priority at all in their future strategies. Most were more focused on their online platform, making sure that was a tool that keeps customers coming back. The Starbucks online app has managed to incorporate their gift card redemption scheme into it as well as being able to order coffee and manage your Rewards Program. There is soon to be a delivery service as well in the second half of 2015. Understandably many of the smaller retailers do not have the financial power to have such a large all-encompassing online service, however Starbucks can be used as an example that is leading the way in terms of omnichannel retail as they are constantly striving to provide a service that not only makes the customers life easier but gives them rewards for their loyalty. 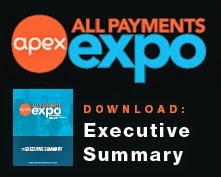 APEX is where merchants rule. As new companies create new iterations of payments that combine mobile capabilities, loyalty, closed-loop currencies, wallets, acceptance devices and lower transaction costs, it is the retailer that decides what is successful and what is an also-ran. 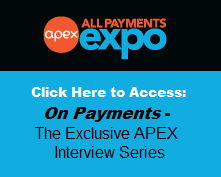 At APEX, retailers can view the latest technology alongside their peers and discuss the challenges and feasibility of implementation that are unique to this industry. Register with the code XU2848BLOG and save $100!